You see, every time our children walk out the door, their lives are at risk. Every time they take a bite of food, safe or not, their lives are at risk. Every morning when they walk into school, their lives are at risk. Every party, every play date, every outing…. there was no safe bubble, and as much as I wanted to believe it, I was not a super mom with protective powers. So, I continued on to his appointment. Standing in that room as the Doctor and nurse prepared his first dose was one of the scariest moments of my life. As they turned to give him that syringe I wanted to yell “WAIT”! I wanted to slap it out of their hands and scoop my baby up in my arms and run. 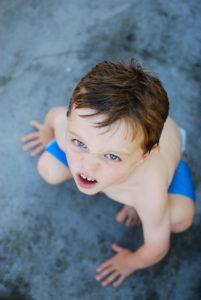 OIT goes against every instinct of an allergy parent! From day one, we avoid the allergen. It’s engrained in our mind. Avoid, Avoid, Avoid! Our lives revolve around it. Fear was taking over, but I knew that I couldn’t let my fear, hold my son back. As they placed that syringe in my 7 year olds hands, my once excited and confident son felt the gravity of this moment. I saw the fear rush over him and his eyes fill up with fear as he looked at me for comfort. It took every bit of strength I had to walk over to him, look him in the eyes and say “you can do this”. He took a deep breath and put the syringe to his lips and swallowed. In that moment his entire demeanor changed. He was all smiles and the pride was radiating from him! That day, that moment changed our lives forever! My fear and anxiety over food allergies has decreased tremendously! My sons confidence has sky rocketed! Our hope and excitement for the future is through the roof! And our boogeyman lurking around every corner, that big bad scary peanut, doesn’t seem so big bad and scary anymore! My point to all of that, is this… I know how scared you are. I know all of the “what ifs” going through your head. I know… but I also know that the road ahead is more than you could ever imagine! Yes, there are risks to doing OIT, but there are risks to not doing OIT as well. 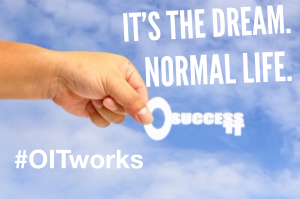 The difference is, OIT offers freedom, a light at the end of the tunnel! No one can make this decision for you. OIT, no OIT…. you are making the right decision for your child. But don’t let fear make that decision for you. Don’t let fear hold you back from a life of freedom! My son is halfway through with peanut OIT. We aren’t there yet, but that light at the end of the tunnel gets brighter every day! Taking that first step is scary and overwhelming, but it could also be the step that changes your child’s life forever, your life, forever! God bless, and hugs from one allergy mommy to another! Then when he was 10, I found OIT 101 & Gail Reynolds Frank and Liseetsa Mann and the group. I had no idea then how life changing it would be for US. I took a year and a half reading and lurking in the group before we made the decision to start. 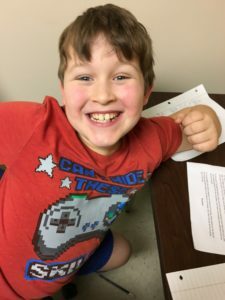 When we started OIT (Feb) at NEFATC in West Hartford, CT with Dr Factor and his awesome staff, we still had huge anxiety and it was almost worse at the beginning. Then, as each day went by and we updosed to higher amounts our confidence grew & our anxiety slowly started to fade. Today we updosed to 125mg peanut flour(not even at maintenance yet) and our anxiety is so low that somedays I have none! It’s so hard to explain, but my son who was so anxious he would blink excessively during the day has stopped blinking. He wouldn’t touch food with his hands and I used to bite my nails everyday- I haven’t bitten them in 2.5 mos.! Now we were asking her to face her fear and trust a doctor she had only met one other time. Yikes! How does a 9 year old child agree to take this incredible leap of faith? This is a special child, a brave and strong child, certainly not an average child. This is a child who has lived each and every day of her life with the worry, fear and isolation that comes with food allergies. Because as allergy parents, we all know it’s not about eating the food. We need food to eat, we need to feel safe and we need to feel like we belong. Food allergies make meeting certain needs feel really impossible at times. I can’t tell you how many times my heart broke because someone didn’t understand what living with food allergies was really like. As my daughter grew older and became more aware of her allergies and what could happen if she was exposed, her anxiety grew and grew. Her life was becoming much smaller. Dreams felt limited and fear was taking more of her young life away. I had read about the OIT studies taking place at Stanford, but I certainly didn’t think this therapy was available in our city. Until one day I met a mom at my daughter’s ballet class. They had just moved to the area and were doing OIT with a doctor in California. She told me there was a doctor in Kansas City who had just started offering OIT. That day changed our life forever. We finally had hope. Hope for a freer life whatever that was. Now it was up to my daughter to change the course of her life at the young age of 9. I remember sitting in the doctors office at our 1st consult when she said: “I’m not doing this” then after thinking it over with tears in her eyes saying: “I’ll try”. She decided she would face her fear and choose hope. 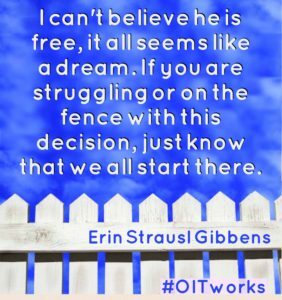 She began her OIT journey on March 19, 2015. As most would agree it was an uneventful and boring day, but at the same time the biggest and most exciting start to a new life. On our drive home we saw a glimpse of our current daughter. Confident, self assured and fearless! 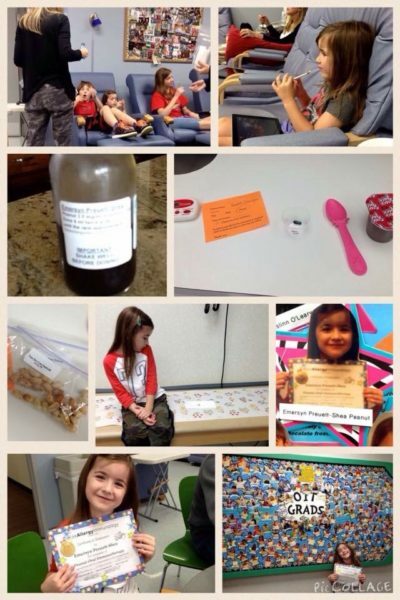 Her journey through peanut OIT came and went with no surprises as far as reactions were concerned. She had one small issue in the beginning that pushed her back to the previous dose for an additional 2 weeks. Outside of that, it was smooth sailing. We saw small, subtle changes in her personality over the course of her journey. She was slow to accept her new freedoms, but you could see her confidence grow with each updose. When it came time for her to eat 32 peanuts at once she didn’t hesitate and rose to the challenge. Now it was time to look at tree nuts. 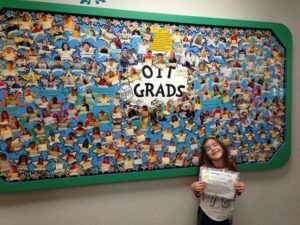 Graduating from peanut OIT gave our daughter the confidence to say yes to challenging all of the tree nuts she has avoided her whole life. Under the guidance of the most amazing doctor, our daughter has challenged and passed all but 2 tree nuts. She will challenge cashews and pistachios in a couple of weeks. Our hope is for her to pass but we know there’s OIT if she doesn’t. Since passing her challenges and completing peanut OIT, she is living the life we have always dreamed for her. She walks with an extra spring in her step, speaks more confidently and has a lightness to her that’s indescribable. The weight she has always carried has lifted. 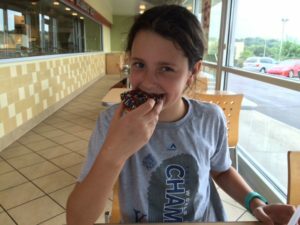 She no longer lives under the cloud of food allergies. Our optimism for our daughter’s future is limitless. We never could have arrived at this moment without the support and brilliance of the most extraordinary doctor, Zach Jacobs. Choosing hope has given our daughter a future full of possibilities and opportunities that would never have been possible if we decided to live in fear. That is when we found Dr. Moss and first learned a little about OIT. I found the Facebook groups, Private Practice OIT and OIT 101, and started researching in earnest. I have a doctorate in a medical field. I reached out to friends and colleagues. I read the literature. I asked questions. We all decided to have a consult. 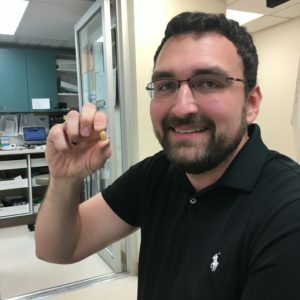 At the consult Dr. Moss recommended we challenge almonds…..and we did and passed. Frankly this alone was huge to us. Then we decided based on testing to start OIT. Logan was excited. I was excited and scared. We have had a very smooth run. Even when we had “The Flu” and had to skip a few doses. Logan is now on 6 months or maintenance dosing and will do a peanut challenge in January….the day after his birthday! 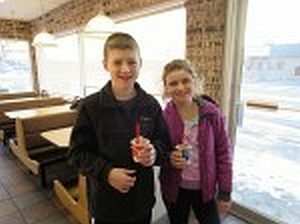 He is THRILLED to be able to eat what other kids eat at parities and next year will sit at the regular table at lunch. The only allergy that remains for us is shellfish…..and we are hopeful at some point to tackle that as well. The hardest part of the whole process for us was making the call to get started. It really is life changing. The support I have received in Private Practice OIT and OIT 101 was amazingly valuable. Do your own research, make your own choices. You are not alone! 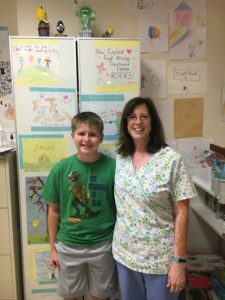 We followed up with an appointment to our local pediatric allergist. Em had a spt (skin prick test) which was highly positive for peanut and other seasonal and pet allergens. Lower positives for soy & milk which she had consumed or was consuming daily with no allergic response, so we were told we could continue consumption. Blood work for peanut IgE levels was taken at this appointment. We left the office with an Epinephrine script and a promise to call with bloodwork results. We filled the script and continued life as usual. We received the call from the allergist office while vacationing. She started with “We have the results of Emersyns bloodwork. Do you have her Epi pen?”. Yes, we had stuck it, still in the Walgreens sack, in her diaper bag. “Her IgE level is greater than 100”. So!? “There is a scale from 0-100 with 0 as the lowest end. Emersyn is greater than 100. You need to always carry the Epinephrine and avoid anything with peanuts”. Sure thing! 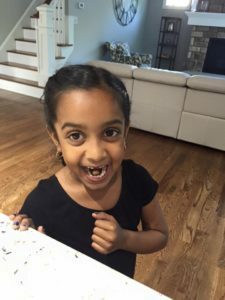 It will be easy to avoid……..
Or so we thought, as we started maneuvering the Food Allergy (FA) world it turns out that simply avoiding peanuts was a pretty daunting task. Most people were/are ill informed about food allergies and the possibility of anaphylaxis if consumed. The lack of desire for education, understanding, and/or compassion for people with FA can be frustrating. Requesting modifications due to FA can cause some to be less than friendly about modifying their eating behavior to make the environment safe for the FA person/child. Even the food industry is ill prepared and legally not obligated to divulge “made in a facility” or “may contain” the allergen. Food recalls are common and calling manufacturers to see if their product is safe can be non productive, ever changing, and at worse a “wild goose chase”. I was a Pediatric Speech Language Pathologist at the time of our daughters FA diagnosis, I had worked with children with special needs on a daily basis for over a decade. If nothing else I had learned that hope was a big word in the life of the caregiver of a child with special needs. I was always researching new therapies, trying to “weed out” the therapies that seemed empty and without merit. Parents were willing to risk it all for a glimpse of hope. Absolute acceptance and love for their child with a disability but always desire and hope to provide them with the best of whatever was available for their particular special needs. Finding hope in the FA world would become a need for me. I was having a difficult time functioning. At home, at work, FA was consuming my every thought. It was causing me to isolate myself from friends and family. I was angry, sad, hopeless. I felt as if we lived amongst a sea of ticking time bombs and moving vehicles aka peanuts which required diligent hand holding. It was a non stop physical and emotional juggling act of providing protection from her allergen. I was doing “it” my daughter was safe but I felt like I was drowning. I started to research. 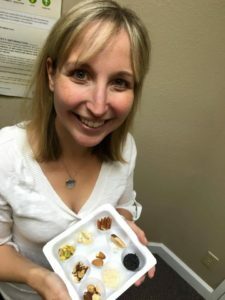 One day I stumbled upon an article online about a Board Certified Allergists, Dr. Wasserman, in Texas that was slowly introducing the allergen to children with FA using a treatment called Oral Immunotherapy (OIT). While my initial reaction was fear I also had a sense of hope. We live in Kansas and Wasserman was in Texas. Plans were made for an initial consultation. The consultation went well. 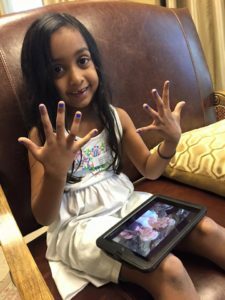 Our daughter was 4 and the treatment program required her to be 5. We waited, Em turned 5 and I got cold feet. I eventually reminded myself of the need to look into our daughters future. We were protecting her now but what about the long term. Day 1 of OIT: We met some fellow OITers. We started with a teenage girl from Alabama and a 7 year old boy from Texas. Our daughter was a champ. She took each dose with ease and no reactions. My husband and I were a mess. As the day went on we realized our daughter would be just fine. 24 total visits with over 11,000 miles driven from Kansas to Dallas starting 7/10/14 to 1/5/15 and Em successfully graduated from peanut OIT. Over the course of the past 2 years we have watched our family heal and thrive. Em has participated in age level activities I once thought she’d be excluded from due to her peanut allergy. Here is a small list: Competing in contact sports, eating beside her friends while they eat peanut products, accepting a piece of her friends birthday cake and a cold popsicle treat from a neighbor friend while playing outside, going to a sporting event with peanut shells on the ground. The list is endless and doesn’t even touch on the emotional side of what OIT has provided. Today Em continues to eat her daily dose of 14 peanut m&ms and adheres to her 2 hour observation time. OIT is a treatment not a cure. She still continues to carry her Epi. OIT has given our entire family hope of safety and inclusion. A special thank you to Dr. Wasserman for pathing the way for so many and providing hope and a brighter future for our daughter!!! 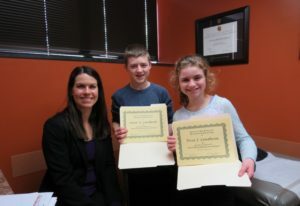 I began peanut OIT at the Bernstein Allergy Group with Dr. Justin Greiwe in Cincinnati, Ohio on January 15, 2016 with a very uneventful first day of rapid desensitization. I felt confident in knowing I was already on my way to freedom. We traveled two or three times each month for appointments while on the liquid solution. Once I began dosing with peanut powder and then whole peanuts, I increased my dose almost every week. Making the long seven hour drive round trip every week became our family’s norm. My wife and two sons traveled with me to most appointments. 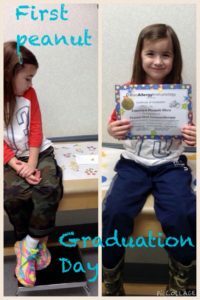 I am excited to say that I graduated from peanut OIT on July 29, 2016 only six and a half months after starting the process. During this time I experienced only a few mild reactions from dosing. One time my ear and cheeks became red while in the doctor’s office after increasing my liquid dose, another time I did not mix the peanut powder into my chocolate pudding good enough and a pocket of powder made my mouth feel odd, and then there were times my stomach felt just a little off when I didn’t eat as much as I should have when dosing. All of the issues were mild and did not require medication of any kind. I did take allergy medicine as needed for seasonal allergies but this was unrelated to OIT. No matter the time of day, my doctor was always ready to take my call and give me guidance if I accidentally skipped a dose or if I was becoming sick with a cold and needed to know how to handle my dosing schedule. The entire process went by quickly without any setbacks. I am thankful for the support from my wife that encouraged me to do this and was by my side the whole way through. If you are an adult with food allergies you may be thinking how missing work once every week or every other week could even be a possibility. I am a public school teacher and I had my doubts at the beginning too. I spoke with my principal and superintendent and both were very understanding. I wrote several substitute teaching plans this past school year and used many sick days, but it was worth it! Some allergist offices even offer Saturday appointments. Scheduling appointments are not the only scheduling issue for some adults. Many of us strive for a healthy lifestyle that involves exercise. The two hour observation period after dosing limits exercising right after dosing. I was able to continue my usual routine of going to the gym early in the morning then heading to work. I would take my morning dose once I arrived at work. After the two hour observation period, I was as active as I wanted to be. I take my evening dose at night after kids go to bed then stay up a little longer watching a television show or doing things around the house. The observation period was not an issue whatsoever. OIT has made my life simpler, not more difficult. Another concern for adults is knowing the taste and the realities of ingesting their allergen, but still overcoming the fear in order to desensitize their body. I was concerned about this as well. This is what you can expect with dosing. The liquid doses started out so diluted that I was unable to detect a peanut taste until the solution became more concentrated. The powder was easily masked in pudding or other solids until the amount of powder grew to larger amounts. When I increased to whole peanuts I first mixed the nuts with sunflower and pumpkin seeds, then later I masked the peanut taste with pretzels, Nutella, or granola. I am getting use to the taste of peanuts. Since completing OIT, I purchased my first Snickers bar and ate the entire thing! I probably will not eat another one, but I now have freedom to eat one if i choose and any other candy bars that were once off limits due to cross contamination. I know it is possible to overcome the fear because I have. 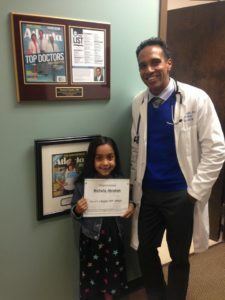 We are currently under the care of Dr. Ruchir Agrawal in Peachtree City, GA and to say that this man cares for my kid is an understatement. He took us in immediately when Dr. Nash retired and has been caring for Tuck ever since. Throughout our 32 month journey, most of my support has come from my Facebook family. 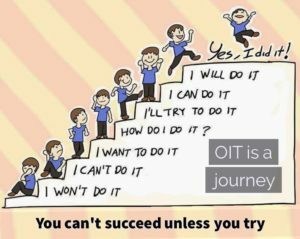 From first hearing about OIT on the Peanut Anaphylaxis Cure Facebook page, to being around for the creation of Private Practice OIT Facebook page (which was created just for those actively in OIT), to my local gals creating NC OIT…these groups have been my support. We have laughed together, cried together, been scared together, but key word is TOGETHER. It was such a blessing to have others who knew what we were going through, the battles over dosing, the scares, the criticism from others who didn’t understand, the celebrations as each person’s child reached a certain goal. I still have not gone through MY emotional desensitization so I haven’t allowed Tuck much freedom, however I know that when I am ready he is protected and so am I with the support of my loving OIT Facebook family! We were lucky to have had wonderful Dr. Nash only 20 minutes away. We made our consult appointment and got on his super long waiting list. We finally got the call in February of 2014, with a start date on April 8th – the day before her 5th birthday. Since Michelle was still young, it wasn’t too hard for us to convince her to trust us on this. She was scared and reluctant but agreed nonetheless. Day 1 was full of anxiety, mostly for the parents. We started with naked to the eye amount of peanut flour, mixed with apple sauce. From there, we increased doses every 20 minutes. At 6 mg of flour (which is 3 mg of peanut protein for our protocol) – she had some slight hives behind her ear. We stopped there. The next day, we came back and dosed at 3 mg of flour without a problem and went home with 2 weeks worth of 3 mg flour for once a day dosing. From there on, we went in every 2 weeks to increase to the next dose. We dosed in the evenings, usually around 6 and would remain indoors for play / activity – mainly because summers in NC were brutal and wanted to keep her body temp low. I will not say that it was easy – Michelle had a rough time in early doses, usually episode of throwing up a day or two after increasing our dose but her little body would adjust and be fine in a day or so and go without issues for the rest of the time. Once we hit 50 mg, our stomach issues completely disappeared.We had a couple set backs with illness, but we still hit the maintenance dose (3000 mg flour/1500 mg protein/5 peanuts) for our protocol in February 2015. Our doctor’s protocol had us at maintenance at one year and then a food challenge. Our OIT life was turned a bit sideways when Dr Nash decided to retire in June of 2015. We were scrambling to find a doctor that would help us finish out our protocol. 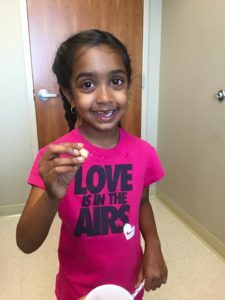 We were lucky enough to have Dr Chacko in Atlanta accept us as his patient. 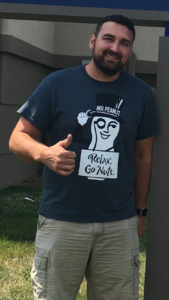 We drove out to Atlanta in July and during that appointment we increased to 7 peanuts. Since Dr. C’s protocol took the patient up to 10 PN for maintenance, we went out there again twice to increase to 10. Once we hit 10 in August, the plan was to stay at the dose for 3 months and then challenge. We successfully challenged and graduate peanut OIT with 24 peanuts on the Wednesday before Thanksgiving 2015. Michelle has since then tried Reese’s cups, girl scout cookies, PB protein bites and various flavored peanuts for her daily dosing. She has even taken a bite of Thai food from our plates! Through it all, it showed me how brave my little 5 year old is! She endured through an extremely scary situation and at the end of it all came out stronger for it – both emotionally and physically. We have since started our journey for mixed tree nut OIT and are looking forward to complete food freedom in our future! I’ve had allergies since I was 8 years old when I broke out in hives for days from a squeeze of lemon in my drink. I spent many days inexplicably ill and this became worse throughout college. Back then, no one thought to do allergy testing. My ears itched when I ate pistachios. No one said I should stop eating nuts. The knowledge of cross reactivity wasn’t there. One day during college, my throat started closing from eating a walnut. Enter my trusty friend, the Epi pen into my life. Two years later I had so many daily symptoms I couldn’t breathe through my nose, stop rubbing my eyes, scratching my skin or doubling over in stabbing stomach pain. When I ate Chinese food I told my parents I literally felt like I was dying and had tingling sensations in my spine. I was misdiagnosed time and time again until finally I went to an allergist. Imagine my surprise to test positive to 30 of the 92 items I was tested for. Through a series of challenges I proved that egg and mustard were false positives. That was it. And so began a new life of avoidance and feeling like a person again. As an adult I can tell you that there is no peanut free table at work, no person to calm your fears when nuts are served at a company training and everyone is touching the materials you need to use, and no one but yourself to check every ingredient label diligently. My husband and I have led an amazing but very food restricted life together for the past decade. One day, a wonderful woman told my husband about the Private Practice OIT Facebook group and mentioned that I should schedule a consultation with Dr. Jain in Fremont. The moment my consultation began, I knew Dr. Jain was amazing. He was patient, calm, confident and inspiring. He told me that anyone willing could be desensitized. Some are just more difficult than others. He answered what felt like a million questions for me. He gave me hope…and he delivered 1000%. You see, we never thought I would treat all 30 of my allergens. We thought it would be too much. We started with SLIT for 10 fruits and veggies: carrot, celery, strawberry, pinto bean, apple, lemon, orange, pea, green bean, peach. We then tackled OIT for soy. I can’t tell you how many times soy was accidentally in my food over the past several years. It would make me sick for weeks at a time. What a mind game: I was about to start drinking my poison twice daily. It now feels like magic and I eat unlimited amounts of soy without a single symptom. Asian foods are some of my favorites these days. 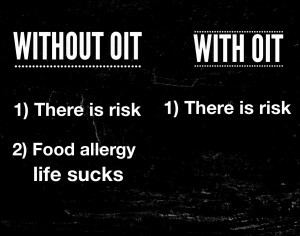 My peanut allergy wasn’t severe, so tackling it with OIT was smooth sailing. Next up, it was time to conquer my greatest fear of all: combining 7 nuts (almond, walnut, pistachio, hazelnut, cashew, Brazil nut, pecan) and sesame into OIT treatment. For almost a year now I’ve been eating 64 grams a day of the items that once almost killed me with a single bite. Wow, OIT works! But wait, we said. We could put coffee, oats and the rest of the bean family into some custom made sublingual therapy bottles. Why? Because an extra drop or two a day is easy and Dr. Jain is amazing and willing to try new things. I’m so in love with coffee again. Sure, some people think that it’s a huge commitment to eat their allergens every day. But I would argue it’s an even bigger commitment to avoid 30 allergens every minute of every hour of every day. Moreover, it’s a huge leap of faith to trust others preparing your foods to fully understand the extent of serious allergies. I’m not going to lie…there were bumps in the road. But for any moment of hesitation, Dr. Jain, his staff, and the Private Practice OIT group had my back any time, day or night. And if you decide to pursue OIT, they’ll become your family too. In addition to the huge sense of comfort and freedom I feel each day, here are some of the things I’ve done this year that I couldn’t do before: eat the food at work, go out to dinner with friends, eat everything in Japan, Thailand and Cambodia, travel to the deep woods in Alaska and Canada and let someone cook for me with no questions asked, order at restaurants, get takeout, break the no new restaurants and no new food rules, eat Chinese food, drink beer containing oats, and most of all, meet new people and not be labeled as the allergic girl. And so, my OIT family, I hope this helps any of you considering treatment. There is a bright future ahead and this group is your family. I couldn’t have done it without all of the support and love from everyone here!